Marina is a city in Monterey County, California, United States. 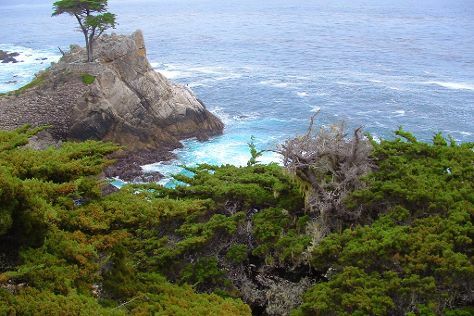 Kick off your visit on the 20th (Tue): immerse yourself in nature at Asilomar State Beach. For where to stay, traveler tips, photos, and more tourist information, you can read our Marina trip itinerary maker app . Nashville to Marina is an approximately 11.5-hour flight. You can also drive. Traveling from Nashville to Marina, you'll gain 2 hours due to the time zone difference. Traveling from Nashville in November, plan for somewhat warmer nights in Marina, with lows around 47°F. Wrap up your sightseeing by early afternoon on the 20th (Tue) to allow time for travel to Bryce Canyon National Park. On the 21st (Wed), take some stellar pictures from Inspiration Point and then trek along Navajo/Queens Garden Loop. To find traveler tips, maps, ratings, and tourist information, use the Bryce Canyon National Park online trip itinerary builder . Use the Route module to find suitable travel options from Marina to Bryce Canyon National Park. Traveling from Marina to Bryce Canyon National Park, you'll lose 1 hour due to the time zone difference. When traveling from Marina in November, plan for little chillier days and colder nights in Bryce Canyon National Park: temperatures range from 47°F by day to 18°F at night. Wrap up your sightseeing by early afternoon on the 21st (Wed) to allow time for the car ride to Capitol Reef National Park. To find where to stay, other places to visit, maps, and tourist information, read our Capitol Reef National Park trip itinerary maker app . Drive from Bryce Canyon National Park to Capitol Reef National Park in 3.5 hours. In November, plan for daily highs up to 47°F, and evening lows to 18°F. On the 21st (Wed), you'll travel to Arches National Park. Start off your visit on the 22nd (Thu): make a trip to Partition Arch and then make a trip to Delicate Arch. To find other places to visit, maps, more things to do, and other tourist information, refer to the Arches National Park road trip planner. Drive from Capitol Reef National Park to Arches National Park in 3.5 hours. Plan for a bit warmer temperatures traveling from Capitol Reef National Park in November, with highs in Arches National Park at 55°F and lows at 29°F. On the 22nd (Thu), wrap the sightseeing up by early afternoon so you can drive to Canyonlands National Park. On the 22nd (Thu), take some stellar pictures from Grand View Point Overlook. Before you visit Canyonlands National Park, use our trip planner to discover what you can do and see there. You can drive from Arches National Park to Canyonlands National Park in 2 hours. November in Canyonlands National Park sees daily highs of 55°F and lows of 29°F at night. Wrap up your sightseeing by early afternoon on the 23rd (Fri) to allow time for travel back home.